Imagine learn the knowledge to be rich. The mindset creates the difference between poor people and rich people. 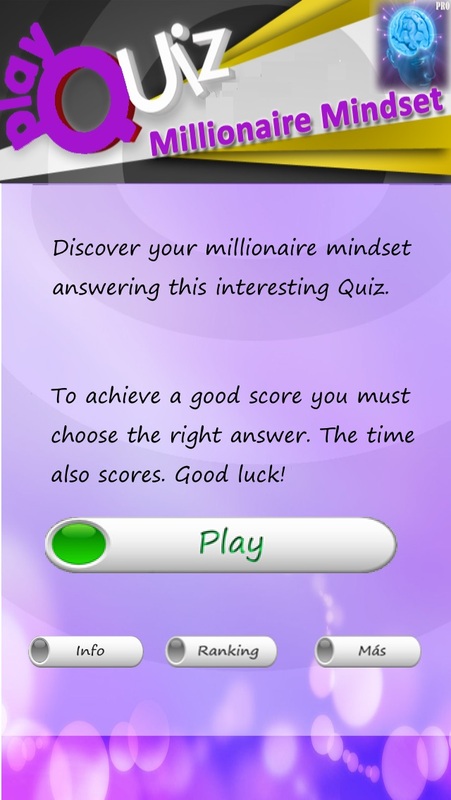 This app offers you different quizzes to assimilate the different concepts that millionaire people use. Some concepts are how to create value to people and how to create profitable business. 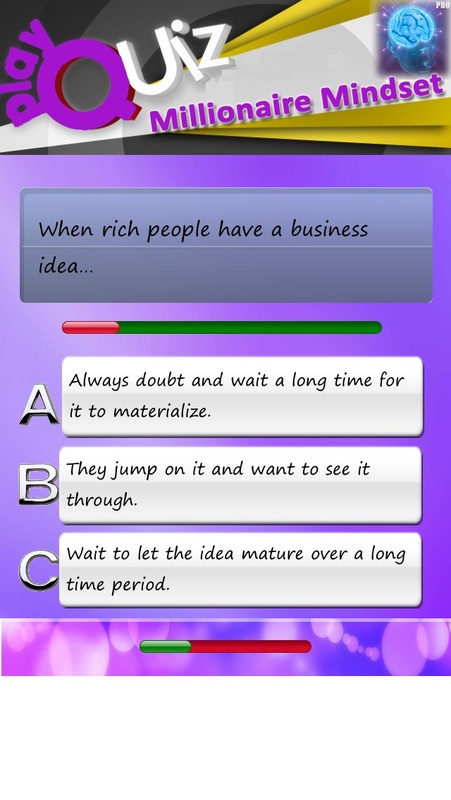 Enjoy these quizzes and learn how rich people think, how they focus on resolve problems and their valuable points of view. 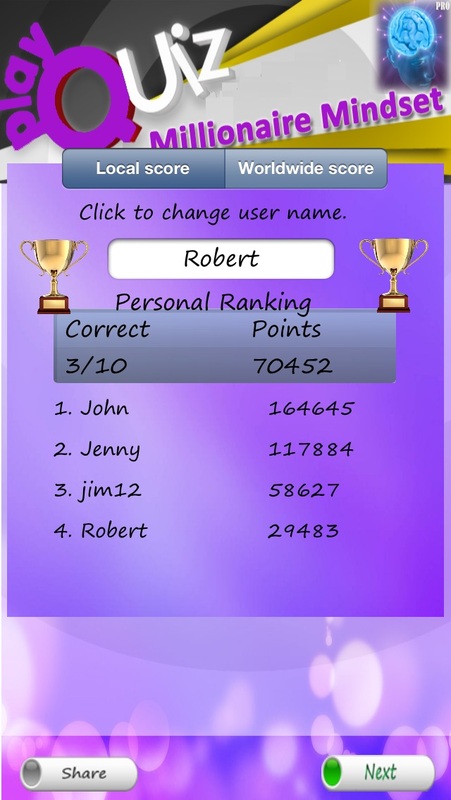 The quizzes are based on more than 10 books from different authors. They became rich before writing their books. "Think and grow rich" - Author: Napoleon Hill "The secrets of the millionarie mind" - Author: T. Harv Eker "Rich dad poor dad" - Author: Robert Kiyosaki "I can make you rich" - Author: Paul Mc.Kenna "The compound effect" - Author: Darren Hardy "The secret" - Author: Rhonda Byrne "The 4-hour work-week" - Author: T. Ferris. "The answer" Author: John Assaraf "Think you are Rich" Author: J.Murphy "The power of Focus" Author: Jack Canfield ============================= Features ============================= 1. Useful and deep insight concepts about wealth. 2. Quiz based on 10 books. 3. Learn at the same time you enjoy playing. 4. Share your score worldwide if you want. 5.Very addictive. 6. Facebook integration to post directly on your Facebook wall! 7. Local and global score. 8. Videos that explain a lot of concepts. Enjoy playing this quiz. Every time you take the quiz, you will be asked 10 differents questions. After each question there is the answer. 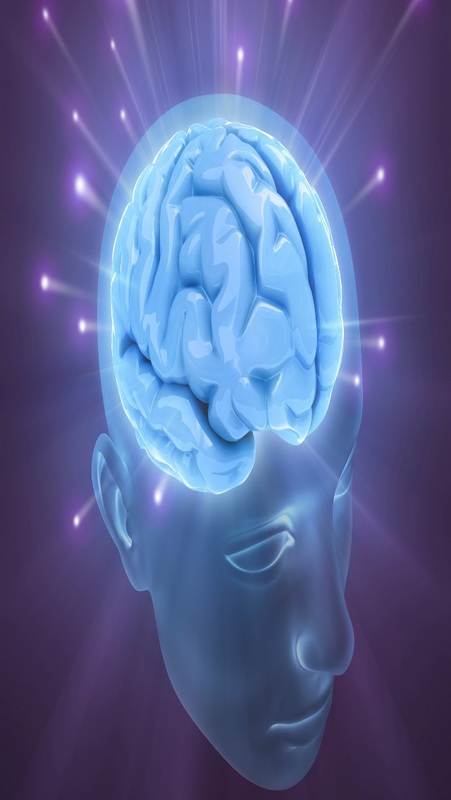 Remove old beliefs to embrace a new mindset ... If you want to be a millionaire. The mindset is the best asset. Millionaires agree the following... The way they think is the difference to achieve great results. To be a millionaire you must think like a millionaire. ¡Download this free version to be millionaire!